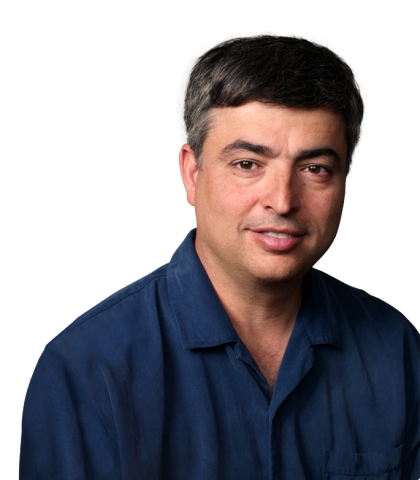 Eddy Cue, the 24-year Apple veteran, is known for his vital roles in Apple’s behind-the-scenes negotiations. The Financial Times voices music label executives and Eddy’s role in striking a deal for Apple’s music streaming service. He is the person who recently took the stage during the WWDC 2013 keynote to unveil iTunes Radio and other new services Apple has prepared with iOS 7. Eddy Cue’s understanding of music and cars has been critical to Apple’s past and recent industry relations. He was instrumental in the creation and launch of the iTunes Music Store in 2003, and now he is responsible for the iTunes Store, the App Store, the iBookstore, iCloud, Siri and Maps. Cue is “someone who is sensitive to music and musicians,” Sony ATV’s CEO Marty Bandier said to the FT. “What makes Eddy and his team so special is that they not only understand the powerful intersection of technology and content, but they’re able to make content like music central to the full Apple ecosystem,” said Rob Wells, head of digital at Universal Music. “He’s someone who’s sensitive to music and musicians,” says Marty Bandier, chief executive of Sony ATV, the music publisher. Mr Cue did not “roll over” in negotiations over the iTunes Radio, he says, but “he did it with grace”. “He’s the focal point through which all discussions relating to music in Apple pass,” says Roger Ames, the former Warner Music chief executive. He has become Apple’s master dealmaker, driving iTunes to success — he is the one who has helped Apple to negotiate the Beatles launch on iTunes. Since he presented the App Store, it has surpassed the 50 billion downloads milestone, and Apple has paid out more than $10 billion to developers. Besides music, Eddy has a passion for fast cars. He joined Ferrari’s board of directors last year, and has already marked the launch of the most recent La Ferrari, as it has several iPads on board. This is the man who will take the stand tomorrow to defend Apple’s position in the eBook antitrust case. He is the same person who, as a “newcomer” to the book industry, has contacted the publishers with a deal that “wasn’t a very good idea”, according to Apple’s lawyer Orin Snyder.